Good lord, is it really almost July? That means that...well, that half the year has come and gone. Six months is an eon in video game time: games have overachieved (Mortal Kombat), disappointed (Brink), been critically tongue-bathed (Portal 2) and critically skull-f***ed (Duke Nukem Forever). The Game Developers Conference happened, E3 happened, and suddenly the rest of the year is stretched out before us with a come-hither look on its face. But before we dive in headfirst to the orgiastic third and fourth quarters and its many treats (Gears of War 3, Battlefield 3, Modern Warfare 3, and possibly even some games without a 3 in the title), let's take a look back and savor what we've been through. 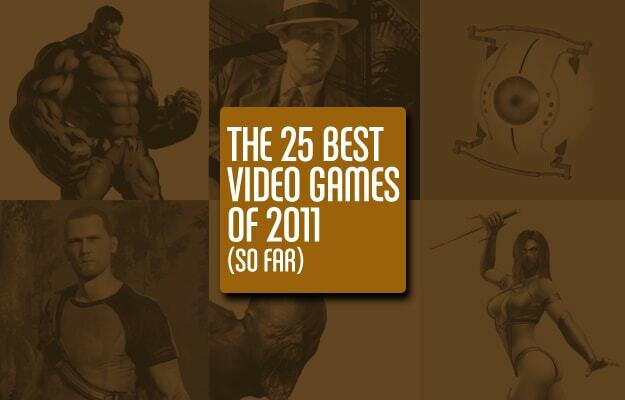 Before we do, though, let us just say that we actually had to narrow things down to get to our 25 favorite gaming experiences of the year thus far, and that's testament to something that gamers tend to forget: things are richer than they've ever been. So complain all you want about repetitiveness and linear gameplay—the fact remains that there's something out there for everyone. So stop whining. And start reading!